This jewelry set is a modern classic! 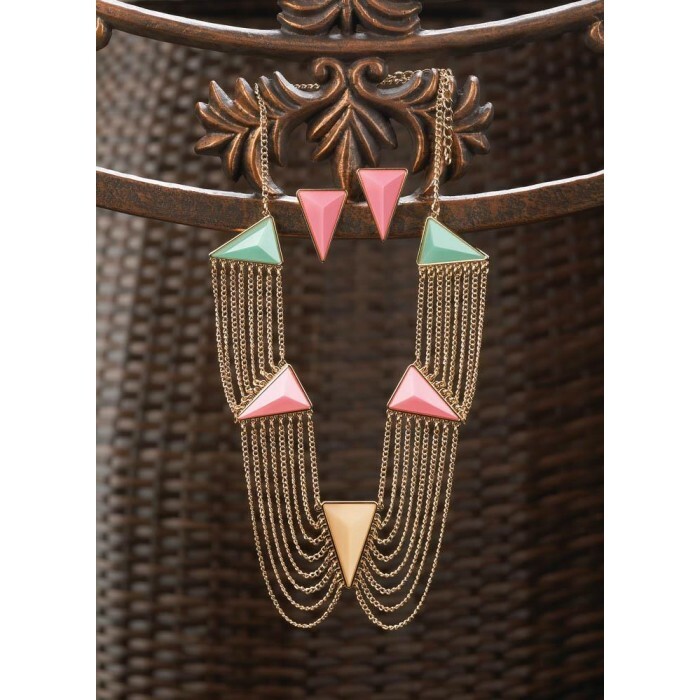 Vibrant pink, green and yellow triangular stones are set in an intricate necklace design and come with a matching set of pink earrings. Statement jewelry never looked so good! Necklace: 19" long, extended to 22" long; each earring is 7/8" x 3/8" x 1 1/4" long.